A computer game introduces young girls to coding basics by giving them a fun mystery to solve — with the help of the original girl-detective, Nancy Drew. As she enters her eighty-sixth year in spring of 2016, Nancy Drew adds a new skill to her arsenal of super-sleuthing abilities: coding. Her Interactive, the mystery video game publisher and Simon and Schuster licensee that acquired the video game use of the character in 1997, is now building the newest iteration of the teen detective for the mobile gaming platform. 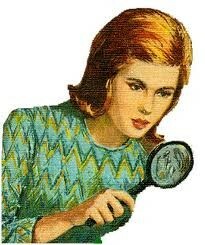 Nancy Drew: Codes and Clues’ target users are young girls, ages five to eight. Penny Milliken, CEO of Her Interactive, felt the time was right to introduce girls to coding. And what better way to do this than through a Nancy Drew mystery? The goal of the game is to “familiarize them with many of the basic aspects of coding as they play.” The game will use key computer science concepts, such as problem solving, pattern recognition, sequencing and other coding skills, as the player navigates the screen to find clues that eventually enable her to solve the mystery.